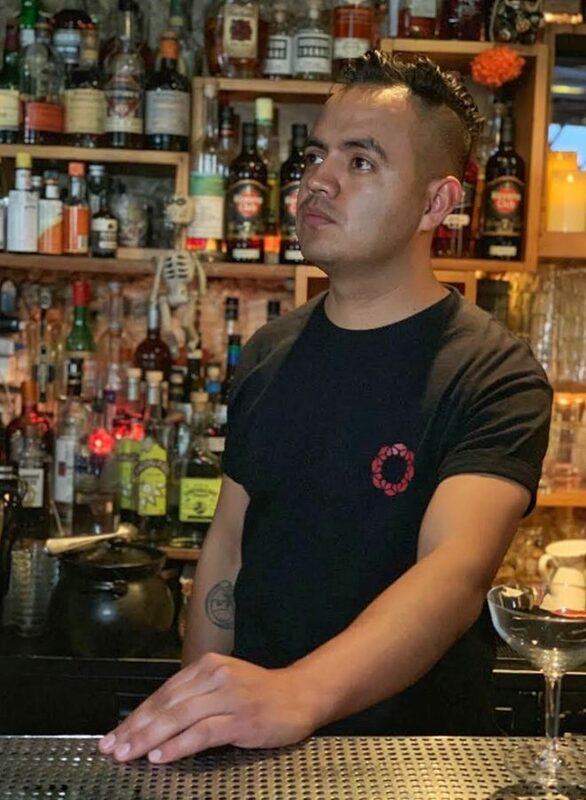 My name is Jose Luis Leon and I am the Bar Manager of Licoreria Limantour in Mexico City. I’ve worked in the industry for 14 years after I studied tourism in college. I started in clubs as waiter and barback, then became a bartender even if there was not really a cocktail scene at this time. Licoreria Limantour was one of the first proper cocktail bars in Mexico which was focusing on ingredients, concept and ways to work. It opened in April 2011 and I’ve been with them since the beginning. In 2010 I won the World Class competition for Mexico and Benjamin, one of the partners was the ambassador for Ketel One and invited me to join them. Since the beginning, Licoreria Limantour grew quickly, so we travel a lot and it connects us with other bars and bartenders. I want a small bar for around 25 people, with seating only. A quiet place with a lot of light. I’d have a small selection of spirits, beers and wines so people can drink what they want to feel good. We’d serve classic cocktails, like dry martinis (which I love), while listening to jazz music. I sleep. I need it. I work hard, starting early in the office and finish very late in the bar. So when I can I stay at home to chill I read books or watch series. I love Tequila because of Mexico and I was an ambassador two years ago for Altos Tequila. Of course it’s the spirit I know the best, so for me, it’s easier to play with the ingredients and the different kind of tequilas and it’s a very flexible spirit to work with, compared to mezcal with its strong personality. I like tequila Ocho that you can find everywhere in the world, but it’s funny because you can’t easily get it in Mexico, even if we produce it. My favourite cocktail with tequila is a good Paloma, it’s a simple but very refreshing drink. A good cocktail is about balance in every aspect. The ingredients, flavours, price and service. The ambience of a place is important too. The type of cocktail you drink needs to match where you are drinking it. I love fresh fruits and vegetables because in Mexico we have so many varieties and available to us. It’s key for Mexican cocktails. My go-to is celery and it has been for years now. For instance, the cocktail I won the World Class with, was made with celery and last year for Patron, my margarita included celery too. I have a big affinity with celery, and it works well with tequila. You have to go to Asia because it’s very different in the way they work compared to Mexico. In Japan go to High Five because it’s a good balance between Japanese bartending and international culture. Tender Bar is very traditional so you have to visit them to understand the root of Japanese bartending. Orchard is owned by a couple and is very interesting too. Singapore is crazy with Operation Dagger and Atlas. Thank you to Candelaria for letting us do this interview during Jose’s guest shift.